The Porsche 911 will be celebrating its 50th anniversary this year and Porsche kicks-off the celebrations with the introduction of the new 911 GT3. Back in 1999, the 911 GT3 became the fastest ever production car to lap the legendary Nurburgring-Nordschleife circuit and hence after set the benchmark for road legal sports cars. Over the last four generations a total of 14,145 GT3 cars have since been built and now there is another based on the 991 series - Porsche 911. 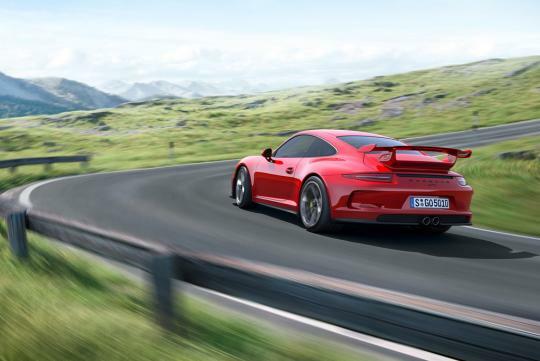 The fifth generation 911 GT3 debuts at the ongoing Geneva Motor Show and aims to set the benchmark among thoroughbred Porsche sports cars with naturally aspirated engines. The engine, transmission, body and chassis are entirely new but the proven characteristics of the track inspired sports car are preserved. 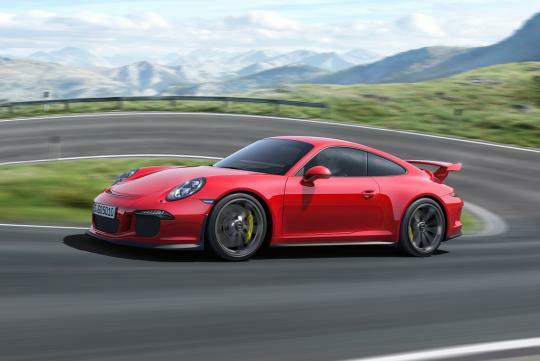 The powertrain of the new 911 GT3 comprises a 3.8-litre flat engine developing 475bhp mated to a Porsche PDK double-clutch gearbox, and rear-wheel drive. Though the six-cylinder engine is akin to the 911 Carrera S they only share a few common parts and weigh around 25 kg less than the previous unit. 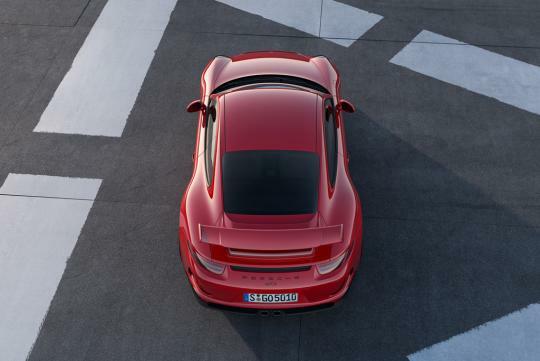 The new 911 GT3 comes with a sports exhaust system, which is revised from the previous model. 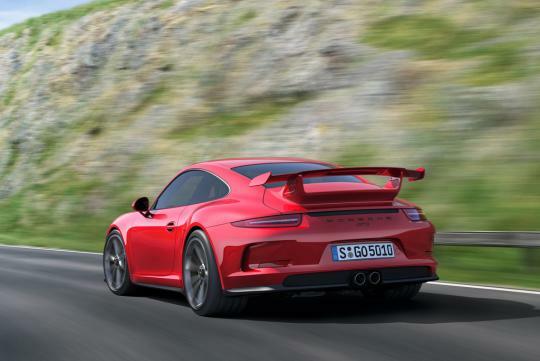 The 991 based 911 GT3 is 44 mm wider than a Carrera S across the rear axle and houses the distinctive large, fixed rear wing. 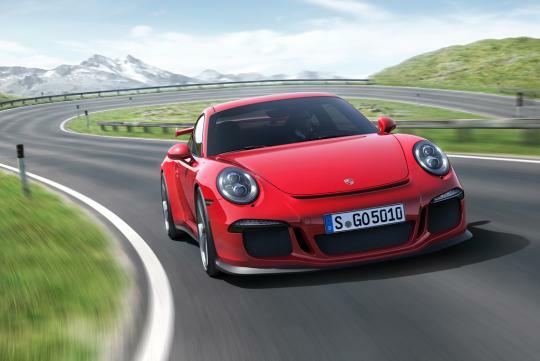 The 911 GT3 hit 100km/h in just 3.5 seconds while the top speed is attainable with 313km/h via the seventh gear. 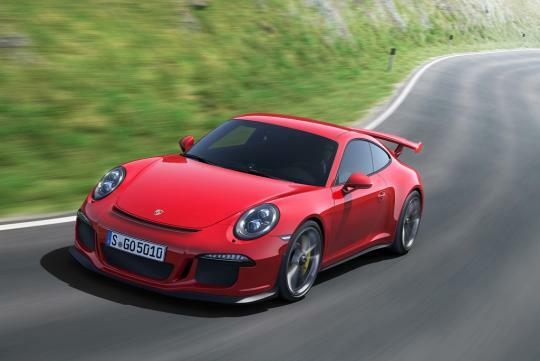 The 911 GT3 lapped the green hell in less than 7:30. 911 is the model. 991 is the lastest classification of the 911, succeeding the 998/997.